Sorry for the delay, and it’s been a while, but here are more stuff from our Vermont Quilting Trip! 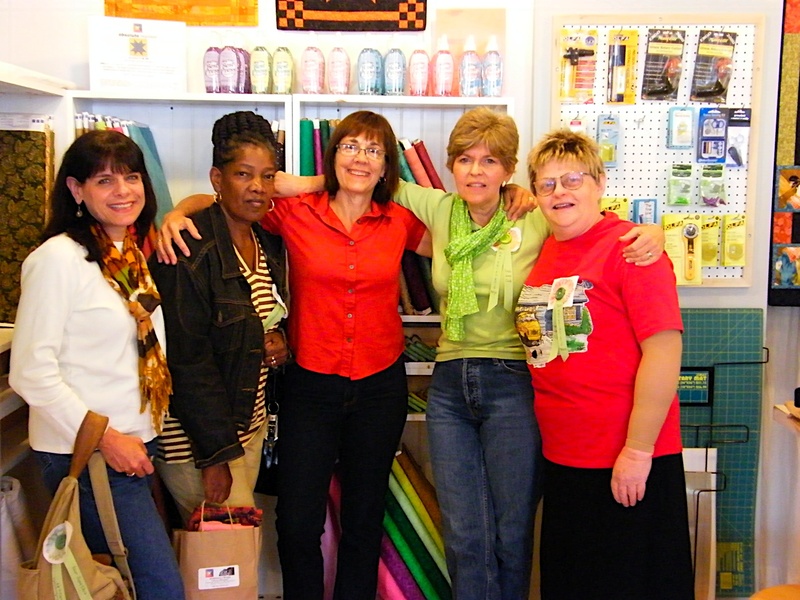 Our group in Woodstock where we all picked up some very cool fabric. 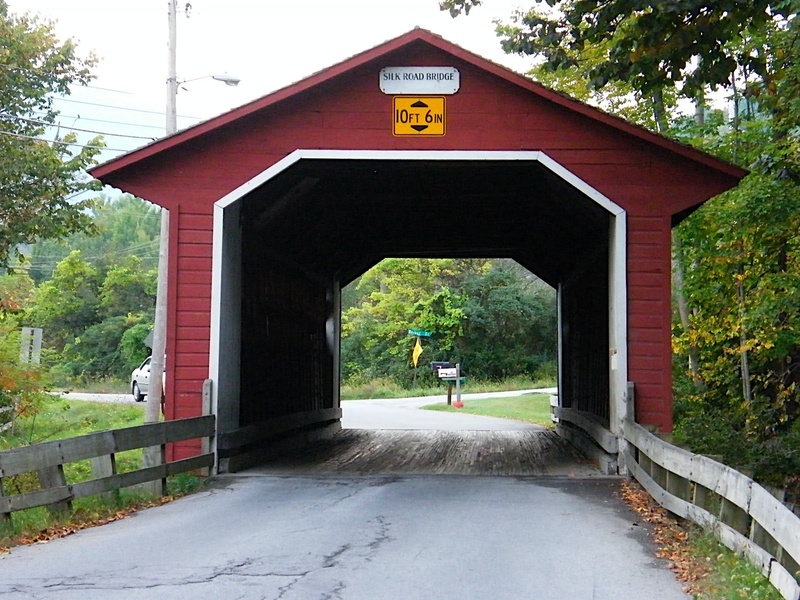 One of the many covered bridges in Vermont. 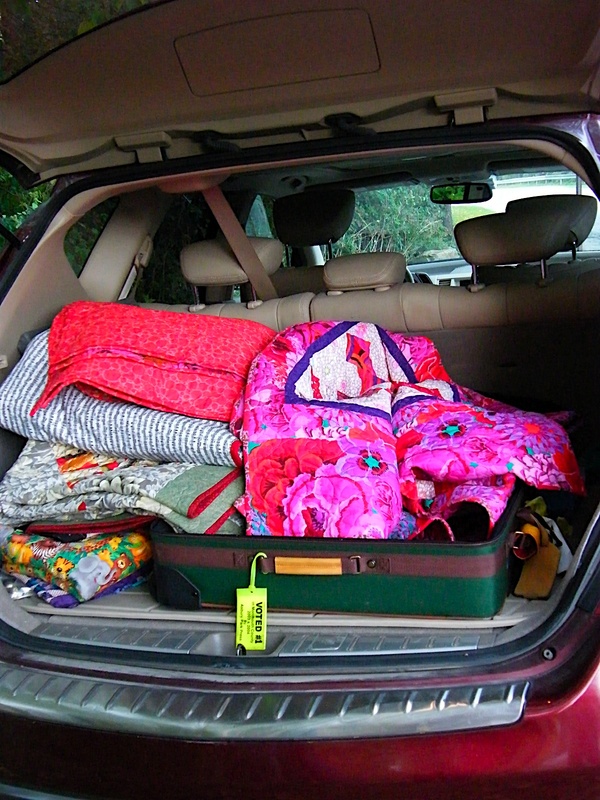 A quilt show in a trunk. This is the background story: while at the Shelburne, Madi became friendly with a perfect stranger who also happened to be a quilter! 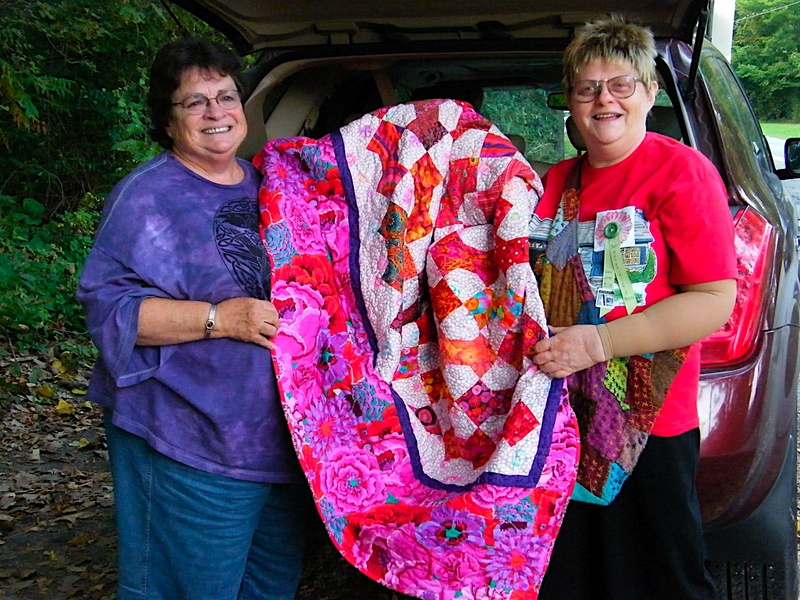 She took us to see the covered bridge and than showed us the quilts she had in her trunk because she was having a one woman show!